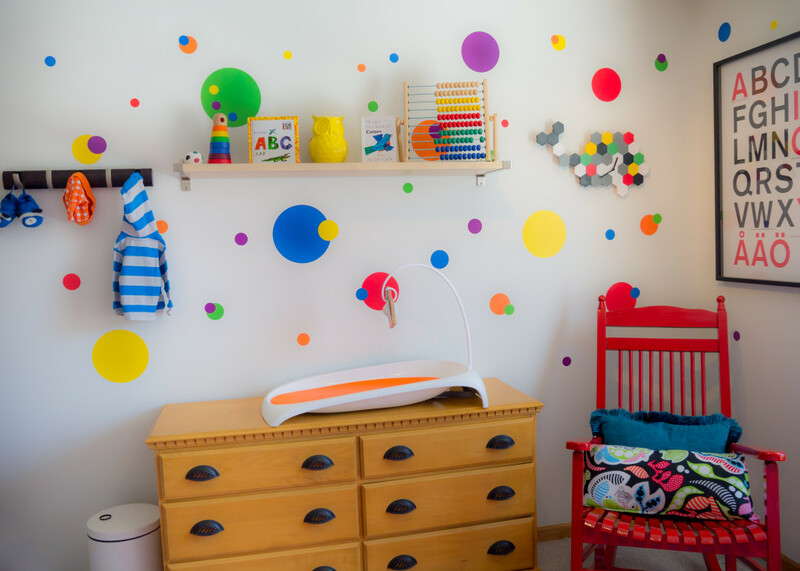 This bright and colorful nursery will add a little cheer to anyone’s day! From those fun polka dot wall decals to the amazing circus tent over the crib, this room is sure to have baby smiling from ear to ear. While all the design details are amazing, we think it’s that perfectly content dog sleeping on the vibrant red rug that adds the final, magic touch.